To distinguish those within the field of veterinary technology who have attained a professional level of knowledge and skill as demonstrated by the fulfillment of the Requirements for Certification. A degree from a program in Veterinary Technology accredited by the American Veterinary Medical Association (AVMA). For the most up to date list of accredited programs visit the AVMA’s website. Documentation of achievement of a qualifiying score on the Veterinary Technician National Examination (VTNE) within the last five years (given by the AAVSB). In NH a degree from an AVMA accredited program is required to take the VTNE. For more information about the VTNE – testing periods, testing locations and practice exams visit the AAVSB website. For study resources for the VTNE click here. Time Limits: Any individual applying for certification in NH for the first time more than two years after receiving a passing VTNE score must provide the NHVTA with 12 CEU per year since passing the VTNE. If it has been more than five years since you passed the VTNE and you have not been certified in any state you must retake the exam. Reciprocity: An individual who has achieved certification in another state is encouraged to apply to the NHVTA for reciprocity. Visit our Certified Membership page for more information. Do not have a degree from an accredited program? : You will need to refer to the individual state guidelines on the AAVSB website to see if you can submit to take the VTNE through any other state. If you are able to become certified in another state then you can apply for Reciprocity in NH. Each year there are three testing windows for taking the VTNE: March 15-April 15; July 15-August 15; Nov 15-Dec 15. Certification status you must earn 12 continuing education credits annually. 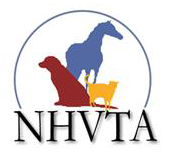 The NHVTA does not keep track of CE credits for Veterinary Technicians who attend NHVTA approved seminars. Please retain your attendance certificates from each seminar and include information on your renewal application. Your CE may be obtained online. At this time there is no limit to the number of online CEU you may submit. The NHVTA no longer requires physical copies of your CEU. Please use the online form to submit your renewal application. You do not need to send us the physical copies. We will be auditing a percentage of our membership annually. It is your responsibility to keep your proof of CEU. In the event that you are audited you will be required to present proof of the CEU you obtained. If proof is not available your certification is subject to revocation. Each term of certification is for ONE year from January 1st through December 31st. Complete applications received after March 1st are required to pay a $25 late fee. If an application is not received with the appropriate amount of required CEU it will be rejected. The technician will be notified and will be required to submit the required CEU. If the CEU is not received by Dec 31st of the year of intended certification then the technician’s certification will be considered lapsed and they will need to refer to the Amnesty Policy for reinstatement (see below). CE does not carry over: If you submit more than 12 CEUs for any one year’s certification they will not carry over for use in the following year. The NHVTA reserves the right to refuse to approve CE credit from seminars that were not approved by the NHVTA if these seminars are deemed to be inappropriate or of poor quality. If you are unsure if your CE will qualify please contact us. You can also refer to this list of approved providers. The NHVTA offers an Amnesty Program for those technicians whose certification may have lapsed. Certification is considered lapsed if it is overdue by one year. Applicants must use the Amnesty Application Form for each year missed, listing 12 CEU for each year missed. The CEU’s do not have to be from the missed year, but 12 for each missed year are required. A total payment of $75 per year lapsed is required. Time Limit: An NH certification will go into expired status if not renewed for 4 consecutive years. Expired certifications must use the Amnesty Application Form to appeal to the board for reinstatement and must meet all of the standard requirements.